Pie and pi lovers rejoice: whether you like eating pies or calculating their area, 3/14 is your day. March 14 is a holiday for both bakers and math nerds: Pi Day, where the day and month correspond to the first three digits of the most famous mathematical constant. 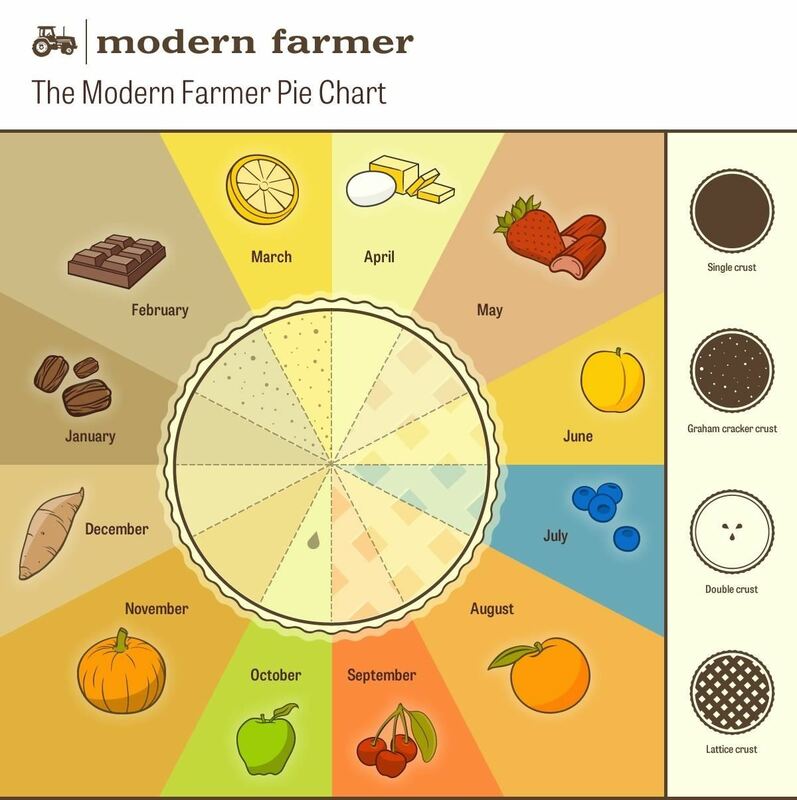 If you're trying to figure out which kind of pie to bake in honor of the holiday, Modern Farmer's got you covered with this good-looking infographic. 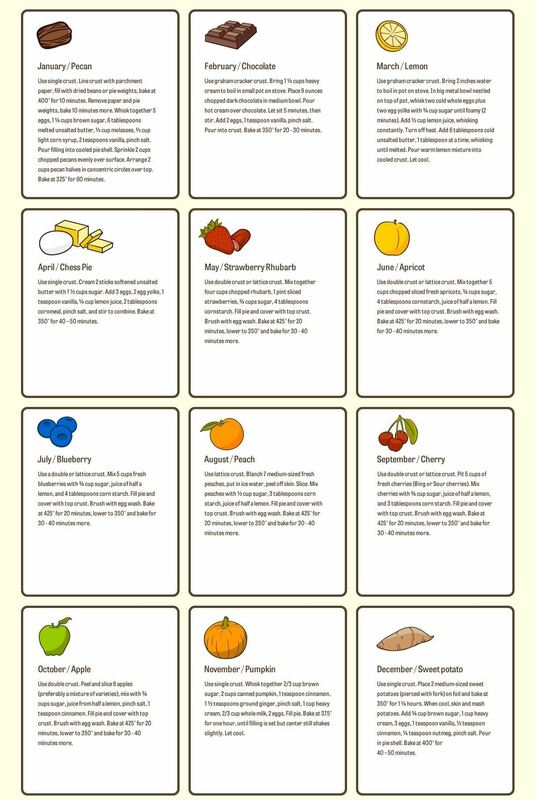 It tells you what kind of pie to make according to the seasons. Even better, it also gives basic instructions on how to make them. 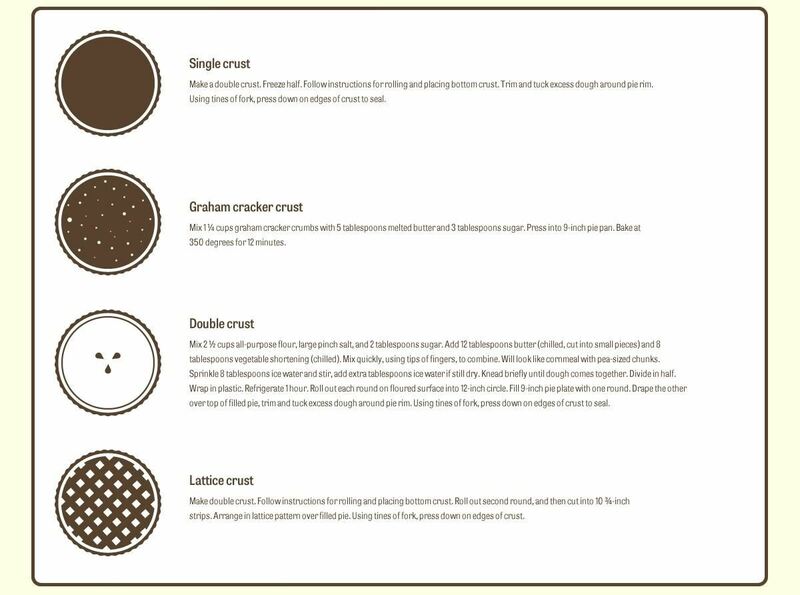 It covers the four basic types of pie crusts, too, and gives you a brief rundown of what goes into them, too. Newbie bakers will probably want a more detailed recipe, but for experienced pie-makers and other types who know how to cook without measuring tools, this chart is a lovely, fun way to remind you to cook more pies! Want to Make Great Pies? Making amazing pies takes practice. Learn these tricks that will help you make a perfect pie crust. If something goes wrong, it's good to know how to save a burnt or soggy crust. If your pie is on the runny side, never fear: we know how to firm up those fillings.